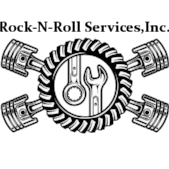 Home › Mississippi › Carthage › Auto Repair Shops Near Me in Carthage › Rock N Roll Services, Inc.
Rock N Roll Services, Inc.
About Rock N Roll Services, Inc.
We offer extensive professional services for major and minor truck issues. Rock N Roll Services, Inc. is a certified NAPA Truck Service Center, so we only offer the best parts and services for your fleet. Our clean, well-equipped shop is located in Carthage, MS, and our excellent, well-trained team makes it their priority to get your fleet vehicle back on the road quickly. Give to Rock N Roll Services, Inc.